[PDF] Making Money Online Using The 7 Deadly Sins! : Discover Where The Gurus Really Make Their Riches | Free eBooks Download - EBOOKEE! Description: If you are reading these words you are looking to make money online. Perhaps you have started some online enterprise that is not quite delivering the wealth you had hoped. Or maybe you are a new online entrepreneur just getting your feet wet. Either way this report will deliver some astonishing facts and insight about what it actually takes to generate any kind of decent income (at least 5 figures a month) online. The first thing that you need to learn is how the online gurus are really making money. Not how they tell you they are making money. And, with few exceptions, most are making a substantial amount of monthly revenue leveraging what is commonly known as the "7 Deadly Sins." In case you haven't been to Sunday School in a while let me refresh your memory. They are: 1) Lust 2) Gluttony 3) Greed 4) Sloth 5) Wrath 6) Envy 7) Pride Ironically getting out of the "make money niche" may be your quickest route for making real money online. 2017-10-11[PDF] Make Your Own Mandelbrot: A gentle journey through the mathematics of the of the Mandelbrot and Julia fractals, and making your own using the Python computer language. 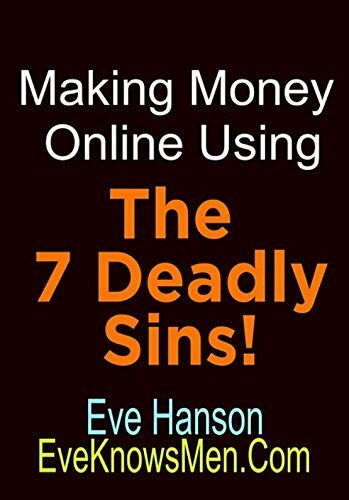 No comments for "[PDF] Making Money Online Using The 7 Deadly Sins! : Discover Where The Gurus Really Make Their Riches".